The information on the following pages is only for international students who are applying to study at Rutgers University through an official exchange partner. Non-exchange and matriculating international students should visit the website of the Office of Admissions. Rutgers is located in an exciting, fast-paced area of the country that is within easy travel distance of New York City, Philadelphia, Washington, and Boston, and our Rutgers–New Brunswick campus is full of culturally diverse entertainment, dining, and learning options–not to mention a network of state of the art research laboratories and virtually endless catalog of courses within 100 programs of study. No matter what you take away from your program, we hope that your time with us is something you’ll never forget. Choosing to study abroad is often described as the best decision a student can make. From buying a newspaper on the street to sampling the variety of food in your host city to attending class with local students, the United States of America will truly be your classroom. Study abroad exchange students should prepare financial and logistical plans with regard to food, housing, transportation, entertainment, and academic/administrative costs, estimated below. There are two major international airports near New Brunswick, NJ: Newark International Airport (EWR) located in New Jersey and John F. Kennedy (JFK) International Airport located in New York. Students also sometimes fly into La Guardia Airport (LGA), a smaller airport also located in New York City. You may choose to fly into any airport, but we strongly suggest you fly into Newark International Airport, as it is much closer and students have said it is much more convenient than flying into JFK or LGA. A more expensive option is to take the Olympic Airporter from Newark Airport, which will take you to the Hilton Hotel in East Brunswick. From East Brunswick, you would need to take a taxi to the Rutgers Study Abroad Office. Be sure to visit the Olympic Airporter web site to arrange service in advance, their web site is: http://olympic-limo.com/index.html. From the hotel in East Brunswick, call a taxi to get to your local destination (the hotel can provide you with a number). It is customary to tip the van driver $1 per bag and to tip the taxi driver 10 to 15 percent of the fare. Students can take a taxi from Newark Airport to Rutgers University, however if you are traveling by yourself, it will cost approximately $50. Alternatively you can take the JFK AirTrain to Jamaica station. At Jamaica station transfer to the Long Island Railroad to Penn Station (you can also take the E subway, but this takes longer). From here follow the above instructions to New Brunswick. Airport Van: The "Olympic Airporter" van charges about $50 from JFK to the Hilton Hotel in East Brunswick, which is about 4 miles from downtown New Brunswick. Advanced reservations are strongly suggested and can be made online at http://olympic-limo.com/index.html. From the hotel in East Brunswick, call a taxi to get to your local destination (the hotel can provide you with a number). It is customary to tip the van driver $1 per bag and to tip the taxi driver 10 to 15 percent of the fare. If you have questions or concerns about your arrival, or are planning on flying into a different airport, please contact us! The Center for Global Education will assist you in moving into your on-campus housing and getting settled during both the fall and spring semesters. Incoming exchange students will usually be housed in university apartments, common placements include apartments at Easton Avenue, Silvers, Newell, and Starkey. In the university apartments, students will have access to shared kitchen facilities. Rutgers University offers bedding packages for purchase, and you will need to bring your own bath towels. Please note that the majority of on-campus residences at Rutgers are shared rooms. We are not able to request a single room for incoming students, unless they have a documented disability. If this is the case, then please let us know early in the application process so that we can send you the necessary disability accommodation forms. If housing is not included in your exchange agreement, you will be responsible for the cost of housing. Payment in full is due during the first two weeks of the semester; students also may have the option of paying online before they arrive. For a list of estimated prices as well as a description of some of the options, please visit the Rutgers University Housing and Residence Life web page. We will provide you with current semester prices once your housing has been assigned and current year prices become available. Incoming exchange students who are placed in a university apartment can choose to have a meal plan. There are quite a few options for meal plans, and more information about these plans can be found on the Dining Services web page. When you arrive at Rutgers you will receive a digitized student ID card and your meal plan will be encoded into your card. You will swipe your ID card every time you go to the dining hall for a meal. There are five dining halls at Rutgers, and all of them will be available to you. Students can also use their Rutgers ID cards as a debit card at participating locations. These include on-campus eateries, local restaurants, and shops. More information about this program can be found on the RU Express web page. The Center for Global Services hosts a mandatory International Student Orientation the beginning of the fall and spring semesters to welcome international students to Rutgers University. 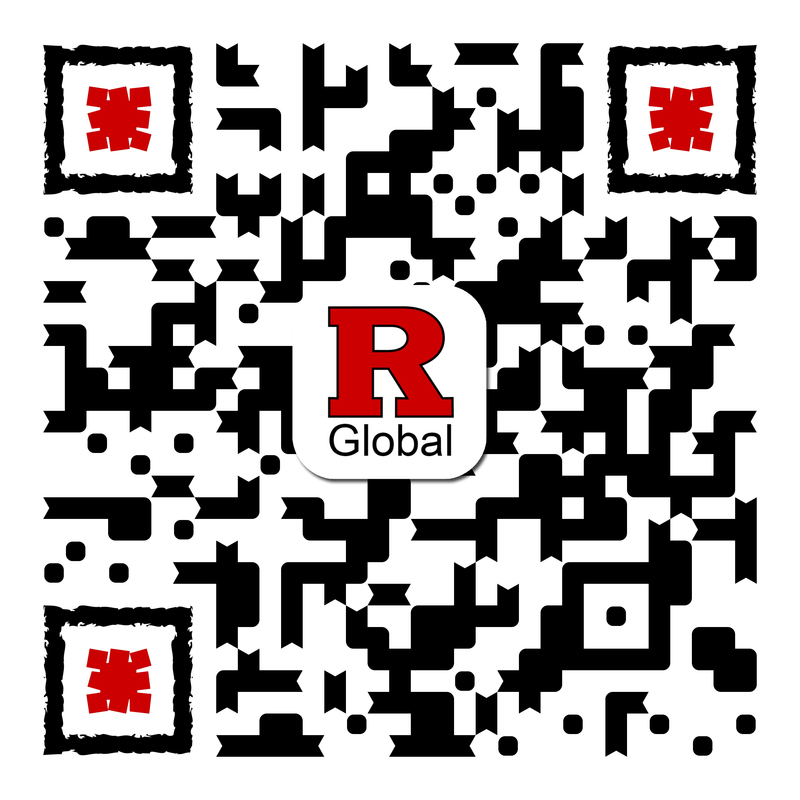 The program is filled with activities and events that will help you get acquainted with Rutgers and the United States. The Center for Global Education also provides a buddy program that will match you with a returned Rutgers study abroad student who can answer your questions about campus life, life in New Brunswick, and living in the United States. These students will also be available to help you navigate Rutgers at the start of the semester. If you are interested in this program, please be sure to indicate this on your application. In order to obtain the J-1 Exchange Visitor Visa for the Rutgers exchange programs, students must be able to show access to at least $5,320 for the semester and $11,970 for the academic year (changes each year, please check with your advisor for current funding requirements). This amount is the minimum required to study at Rutgers University, some students spend more during their time here. To help you plan for your semester here, we have compiled a list of estimated expenses in the New Brunswick area. After you have been accepted to study at Rutgers, you will have the opportunity to be matched up with a returned Rutgers Study Abroad student. They will be able to give you more information about estimated living costs from a student perspective. Please note that in addition to these costs, tipping is a standard practice across America. In restaurants, tipping servers 15 to 20 percent of the bill is expected. Bartenders expect $1 per one to two drinks. Taxi drivers and hairdressers expect 10 to 15 percent. Visiting students have access to the majority of classes offered at the Rutgers–New Brunswick. To find classes, you should use the official Rutgers Schedule of Classes. In order to select the schedule you wish to see: click on (New Brunswick), level (undergraduate) and semester (Fall/Spring). Once you enter in this information, you will see a list of subjects. If you click on any subject, you will then see a list of each class in that subject offered that particular semester. When viewing classes, please be sure to notice the meeting time and place. The different campuses are College Avenue (Coll Av); Cook (D/C); Douglass (D/C); Livingston (Liv); and Busch. There is a staggered class schedule for each campus. Please make sure that you have sufficient travel time between classes on different campuses. 100-200 level courses are often lower level, more generalized courses. They are primarily for Freshman and Sophomore (1st and 2nd year) students and are generally open to all incoming students. 300-400 level courses are upper level courses usually only available for Junior or Senior (3rd and 4th year) students and often have prerequisites for enrollment. 500 level courses and above are graduate level courses, and are not available to visiting undergraduate exchange students. When choosing your courses please check to see if you have the necessary prerequisites. These prerequisites will be listed below the course name in the Schedule of Classes. If you have any questions about the prerequisites we will be happy to help you. The online Schedule of Classes for the fall semester will be available by mid-March and the spring semester schedule will be available by mid-October. We will inform the study abroad office at yoru home university when the new Schedule of Classes is posted. A typical class load for one semester at Rutgers is four or five classes at three credits per class, or 12 to 15 credits total. You must be enrolled for a full-time course load while you are at Rutgers. How your credits from Rutgers translate back to your home university should be discussed with your study abroad adviser at your home university. During the first week and a half of the semester there will be an “Add/Drop” period where students will have the opportunity to change their schedules; classes that were closed during the initial registration period may open again. *Please note that some classes may be restricted to certain majors or may require special permission from the department. In most cases, pharmacy and graduate classes are not available to incoming exchange students. When you complete your online application it is important to indicate which academic departments at Rutgers you plan on taking courses in, that way we can begin the academic advising process early in the application process. The Center for Global Education, the arm of the GAIA Centers that facilitates study abroad programming, will guide you with course registration, housing, meal plans, and coming to Rutgers. Once you arrive on campus, you will be assigned an international student adviser at the Center for Global Services (the international student and scholar services unit at the GAIA Centers) to help you with immigration and visa processing questions and issues. At Rutgers, it is required for all staff, students, faculty, and scholars (and their families)—including international students, faculty, scholars, and their families—to have at least a minimum level of health insurance coverage. For more about coverage options, alternate coverage, and costs, visit our health insurance page.